Colorado School of Mines’ new cohort of University Innovation Fellows is focused on finding ways to increase connections among Mines students with similar interests outside the classroom. 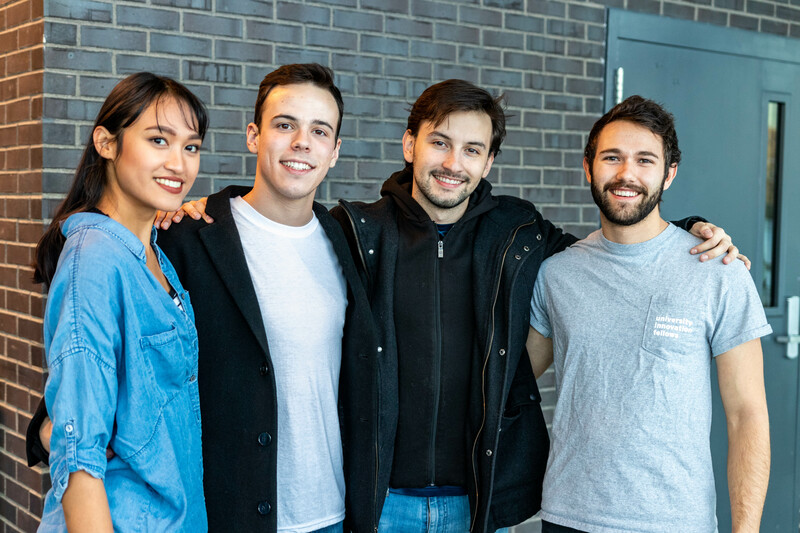 Miguel Moreira, Anastasia Sjahputera, Jake Ropson and Keenan Urmann were among the 358 students from 96 universities in 16 countries who completed UIF training this fall. Run by Stanford University’s Hasso Plattner Institute of Design, the global program aims to empower students to become agents of change at their schools. Among the ideas the new Mines fellows are working on is a student newsletter dedicated to sharing information about all the extracurricular clubs and activities that Mines has to offer. Celebration of Mines is a great way to expose students to new opportunities, but it only happens once a year in the fall and once classes get moving, it can be easy to lose track of all the activities and events that sounded fun, said Moreira, a mining engineering student. Helping Mines students more easily plug into extracurricular activities, they hope, could also help address the perception that Mines can be all work and no play. Another way they hope to bring like-minded students together is through a proposed theme learning community centered on entrepreneurship and innovation, said Ropson, a chemical engineering student. The new residence hall set to begin construction this month and open in 2020 offers a great opportunity for more TLCs, he said. Sjahputera, a chemical engineering major and a Harvey Scholar, said she heard about UIF from both her resident advisor Asya Sergoyan, also a University Innovation Fellow, and one of her fellow Harvey Scholars. They both encouraged her to join as a way to become more active on campus.